Q: We would like to replace ALL of the tile in our bathroom, but aren’t sure where to begin. Does the floor have to match the shower walls? Some design advice would be greatly appreciated! A: Tile plays a major role in the look and feel of your bathroom. 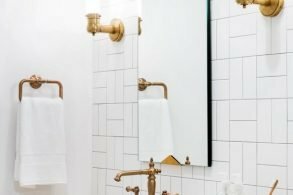 I suppose you could use one type of tile for the entire bathroom, but with so many creative ways to use tile decoratively…why limit yourself? You’ll be amazed at the ways that tile design can make a huge difference in the look and feel of a room. So first, decide the style you want to create (be it classic, contemporary, minimalist, etc.). Then take a look at the various elements to consider when choosing tile. Color: Forget standard white tiles; there are so many colors to choose from when selecting tiles. Don’t be afraid to use multiple colors in your design scheme. Complementary colors can work together to create a deeper, more dynamic look. 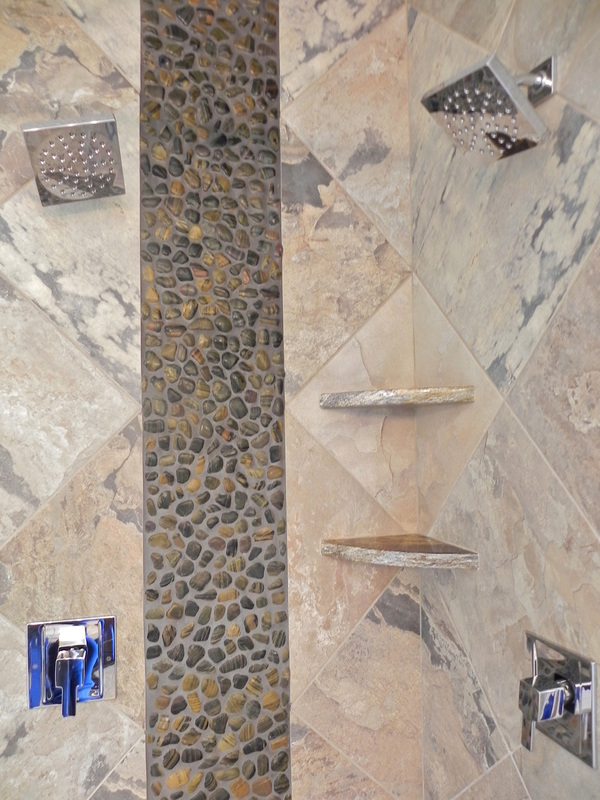 You could also choose to put a creative twist on tile design by choosing to use a colored grout. Texture: Texture can work together with color to create the overall look of a tile. Smooth and polished tile has an entirely different appearance than coarse stone tile. Have fun comparing and contrasting the effects different textures produce. Size: Experiment with tile size and shape. Large-scale tile is becoming increasingly popular because its size tricks the eye into making the room look larger than it really is. Or you could go the opposite way and choose to decorate with small mosaic tiles. Mix and match sizes for an exciting design. Shape: Square has always been the standard shape for tile, which is why some designers are thinking outside the box (literally) and creating rectangular designs. Direction: Lying tiles in diagonal directional patterns can create visual interest, while also adding texture and modern feel. Accents: Some tile designs (like mosaics) look best in small doses. Consider accenting your bathroom with tiles border or frames. Put a border around the tub, or frame your bathroom vanity space. Accents can also be a way to throw in hints of color.